The decision to have spine surgery can be a source of stress, especially if you’ve already tried several conservative treatments without success. However, a procedure that’s well planned and performed by a qualified individual has the potential to lead to noticeable and much-appreciated improvements in your overall quality of life. However, there are also times when you may want to avoid certain spine surgeons. Here are eight red flags to look out for as you choose your preferred surgeon. Even minor spine-related procedures have certain risks, and no surgery has a guaranteed outcome. Therefore, any spine surgeon claiming “everyone” responds well to certain procedures is either trying to drum up business or unwilling to be honest with his or her patients. Either way, this isn’t somebody you want handling your surgery. General and orthopedic surgeons have a general knowledge of the spine, and many orthopedic surgeons also specialize in spine care. However, if the surgeon normally does operations on hip, shoulder, and knee joints or patients with sports injuries, you may want to steer yourself toward one who routinely does spine surgeries. Also, surgeons who frequently perform spine surgeries are more likely to be up to date on newer techniques. A reputable spine surgeon should be able to tell you about the risks associated with your procedure. Additionally, he or she should be able to get specific in terms of the likelihood you may experience those risks based on your unique factors. If the surgeon can’t do this, take it as a sign he or she hasn’t taken the time to thoroughly go over your medical history or fully understand what’s going on with your spine. If you have age-related disc wear (degenerative disc disease), a common surgical procedure is fusion surgery, which includes procedures such as transforaminal interbody fusion. Santa Monica spine patients should be aware that it’s understandable to suggest fusion for a badly damaged disc at one or even two levels to maintain spinal stability. However, be cautious if the surgeon is suggesting a fusion that extends to multiple levels. This is rarely necessary, and it could result in movement that’s too limited. 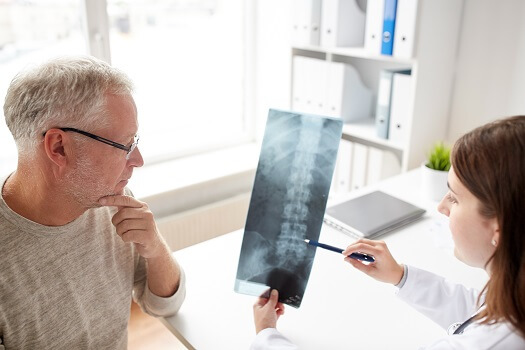 Unless your symptoms are severe or potentially life-threatening, simply being referred to a spine surgeon doesn’t mean surgery has to be your only option. You’ll likely be better off staying away from a spine surgeon who insists on surgery and won’t even discuss non-surgical options. Most qualified spine surgeons don’t mind patient questions. In fact, most good doctors encourage questions. If you meet with a surgeon who seems annoyed that you keep asking questions, you may want to find someone with a more patient-friendly attitude. It’s one thing to have a surgeon who rarely performs procedures like the one you’re intending to have and another thing entirely if he or she has never done that type of operation before. Be particularly apprehensive if the surgeon claims to be willing to “give it a try” anyway. There’s no reason you can’t get second or even third opinions after your initial consultation with one spine surgeon. You may end up being introduced to non-surgical treatments you haven’t yet tried, or you might discover you can manage your symptoms better with chiropractic adjustments, acupuncture, or other less traditional options. If surgery ends up being the right step for you, take comfort in knowing most common procedures can be done with minimally invasive techniques. Spine surgery is a serious proposition, so make sure you choose a Santa Monica spine surgeon with experience and expertise in performing your procedure. If you’re looking for premier spinal care, including both surgical and non-surgical treatment, look no further than the industry-leading pioneers at The Spine Institute. Our spinal health specialists have years of experience treating every aspect of spinal health, and we employ state-of-the-art technology and innovative techniques so our patients can get back to doing the things they love as soon as possible. To schedule a consultation, call one of our friendly team members today at 310-828-7757.